We want your vehicle to be perfect for you! If not, just bring it back and we’ll give you the original purchase price as a trade-in value on any vehicle at Berman INFINITI Chicago. No matter what the reason, we’ll find the right car for you. Every New and Pre-Owned vehicle receives our 30-Day/700-mile Perfect Car Promise. 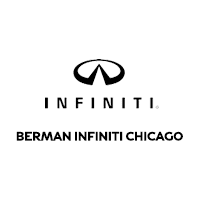 *30-Day Perfect Car Promise (30 days or 700 miles from original purchase date/miles) must be returned to Berman INFINITI Chicago in the same condition that it was delivered in, without damage or excessive wear and tear. Does not include applicable sales tax, documentation, registration fees or loan/lease interest. Only one 30-Day Perfect Car trade-in per customer.